I have spent the last 20 years researching the emergence and development of new approaches to leadership. 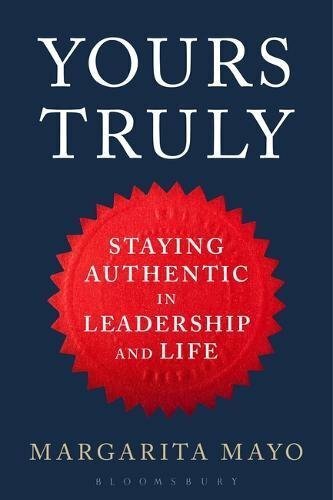 Yours Truly is the distillation of my practical insights into the phenomena of authentic leadership. Available for Pre-Order in Bloomsbury and Amazon: A special Christmas gift. At the heart of contemporary corporate leadership lies a crisis of confidence. Since the financial crisis, distrust of employers among the workforce has dramatically increased due to a lack of authentic leadership. But how can leaders become and remain authentic? Yours Truly draws on a host of inspirational examples from executives of multinational corporations to political leaders and sports leaders, as well as more than two decades of research, in order to examine and explain the missing link in research into authentic leadership: how leaders strive for success, excellence and constant renewal, whilst remaining true to one’s self. Ideal for managers, senior executives and aspiring leaders, Yours Truly captures the value of authentic leadership in transforming organizations, stripping away the seemingly magical, innate charismatic qualities of leaders in order to showcase a less mysterious and more practical process that can be followed by anyone.